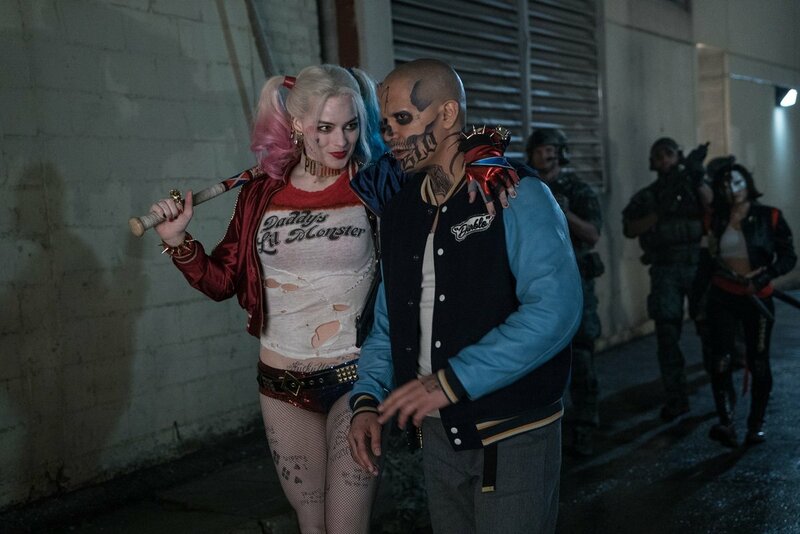 Suicide Squad Still - Harley and Diablo. Margot Robbie as Harley Quinn and 松鸦, 杰伊, 杰伊 · Hernandez as El Diablo in Suicide Squad (2016). HD Wallpaper and background images in the Suicide Squad club tagged: photo suicide squad movie still 2016 margot robbie harley quinn dr. harleen quinzel jay hernandez chato santana el diablo. This Suicide Squad photo might contain hip boot, thigh boot, playsuit, 戏剧, and 防寒.